Poet. Actor. Matinee idol. Playwright. Theatre theoretician. Artist. Orientalist. Surrealist. Asylum inmate. Drug addict. Electroshock patient. Antonin Artaud. This biography, exploring the life of one of the twentieth century’s most enigmatic personalities and idiosyncratic thinkers, reveals the artist’s navigation through the ﬁrst half of the century in the company of many of France’s most inﬂuential cultural ﬁgures. However, Artaud’s own existential journey was a lonely and largely isolated one, an existential ellipsis. Despite being born into the material comfort of a bourgeois family from Marseille, Artaud uncompromisingly rejected such values and norms. Forsaking the renown he had garnered as a stage and ﬁlm actor, theatre director and published author of The Theatre and its Double and many other writings, Artaud relentlessly challenged contemporary assumptions about the superiority of the West, the function of speech, the purpose of culture and an individual’s agency over his/her body. In his mind, if not his deeds, he incarnated France’s revolutionary tradition. Though conﬂicted by his inability to align his thoughts with his words, disoriented by his incessant demand for narcotics and debilitated by increasing paranoia, Artaud channelled his intense alienation into an assault on social and cultural conventions through theatre, poetry, essays and art. 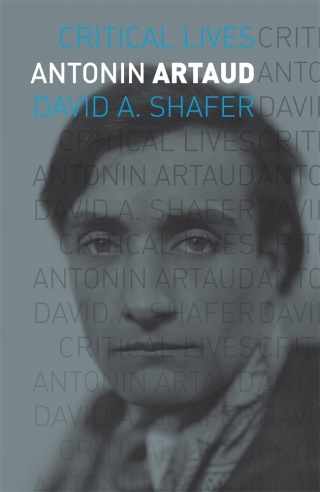 Preserving the profundity of Artaud’s words without trivializing his complexity, and situating them within his frenetic life, this book is a compelling and fresh interpretation of Artaud and his continuing cultural reverberations. David A. Shafer is Chair of the History Department, and Professor of Modern and Contemporary European History, at California State University, Long Beach.